Sunday morning before 4 am there was a crash on Hillsboro Boulevard in Deerfield Beach. Readers reported that Hillsboro was closed for as long as 14 hours, and we verified this with both Google Maps and to some extent with the Broward Sheriff’s Office. Traffic accident near 3200 W. Hillsboro In Deerfield Beach. Roads will be closed for several hours. Avoid the area. The Sheriff’s office has provided almost no detail about this incident. Update: Sheriff’s Office responded Tuesday morning. The 2o-year-old driver of the white BMW has been charged with vehicular homicide, DUI and reckless driving. Just before 4 a.m., Raphael Candido Vilela was driving a 2005 BMW 530i traveling westbound on West Hillsboro Boulevard at a high rate of speed. Sebastian Espinoza was driving a 2018 Tesla Model 3 traveling eastbound in the designated left turn lane, turning northbound on Country Club Boulevard. As Espinoza’s Tesla entered the intersection, Vilela’s BMW struck the passenger side of the Tesla. The impact ripped the passenger side, rear seats and trunk area off the Tesla. After impact, the BMW caught fire as it continued westbound for approximately 700 feet. The front wheels of the car detached at impact causing the engine compartment to drag across the roadway. Broward Sheriff’s Fire Rescue transported all the occupants to Broward Health North with varying degrees of injuries. Thais Haug, the passenger of the Tesla, died as a result of her injuries. Sebastian Espinoza, the driver of the Tesla, was treated and released with minor injuries. The driver of the BMW, Raphael Candido Vilela, as well as the three passengers, Alive Silva, Giovannia Silva and Joao Coneglian, suffered serious bodily injuries and remain in intensive care. The investigation released that excessive speed and driver impairment were the primary factors of the crash. Vilela is now facing charges for vehicular homicide, DUI and reckless driving. Our sources tell us that the white car in the middle of Hillsboro is a Lexus (update: Some readers say it was a BMW) and had a driver and passenger both injured. At last report both are still alive. The Sheriff told us there was on fatality and two critically injured. A couple sources tell us that the other car in the accident was a Tesla and that the driver passed away. Our best guess is a Model 3, though we’re not completely sure it’s a Tesla at all. We saw a photo that looked like a Model 3, but the wheel logo did not look like one from a Tesla. We don’t have the rights to include that photo in this article, we don’t have a good enough photo to be sure, and the Sheriff is not talking. We don’t know how reliable this is but there is some indication that the White Lexus/BMW driver may have been impaired by alcohol. A source also indicates the white car was driving above the speed limit on Hillsboro when the Tesla came out from a plaza on the side. If it is a Tesla there’s a good chance it will have video of the incident that can be used to accurately determine fault, and otherwise let everyone know what happened. But that’s only true if the Sheriff decides to share information with the public, which so far they’re not doing. It is unusual for a crash investigation to take 14 hours. We usually see them take 4-5 hours. And it is also unusual in our experience for police to keep details quiet and be unresponsive when they’re blocking a major road for such a long time. There is no indication as yet whether the Tesla was operating on auto-pilot, but from the source’s description it does not seem like a situation where a Tesla would be self-driving. We will reach out to Tesla to see if they can provide any information. 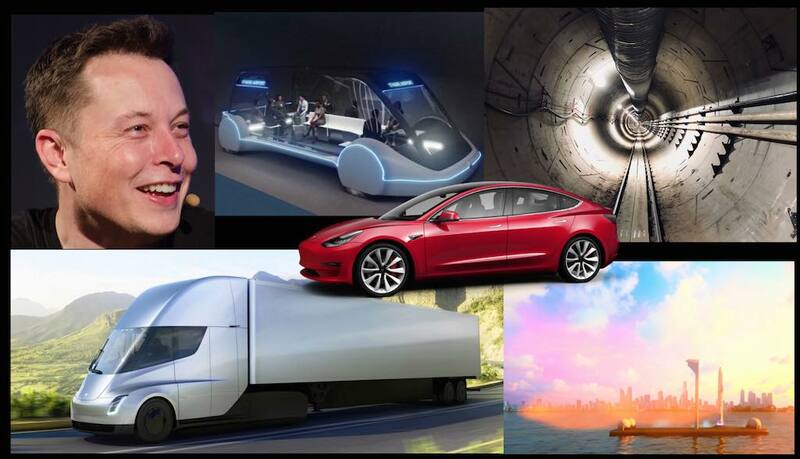 Disclosure: The author owns stock in Tesla and runs an Elon Musk fan club group on Facebook. According to Investigator Fazzino of the Palm Beach Sheriff’s Office, a BMW convertible driven by Alan Ziperstein (age 72) was driving the wrong way on Linton, eastbound in the westbound lanes. 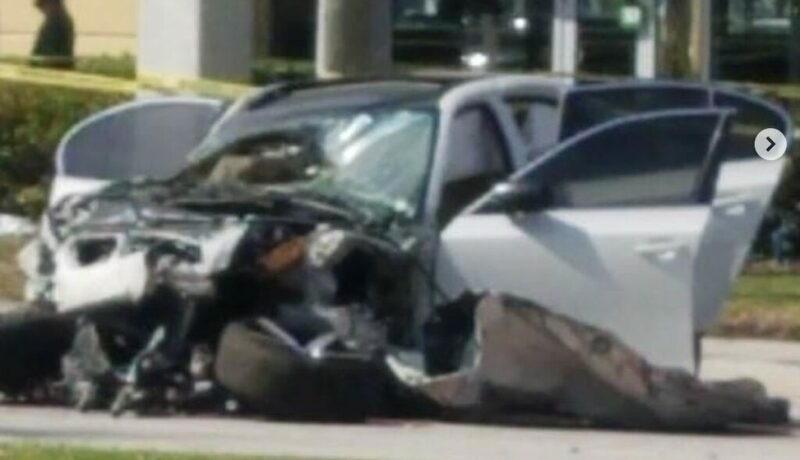 Ziperstein, a resident of the Addison Reserve community, collided with a Jaguar driven by Victor Goo (60) of Kings Point, a Tesla driven by Arthur Sezman (76) of St. Andrews Country Club (West Boca), and a Hyundai driven by Gloria Sheehan (82), also of Kings Point. 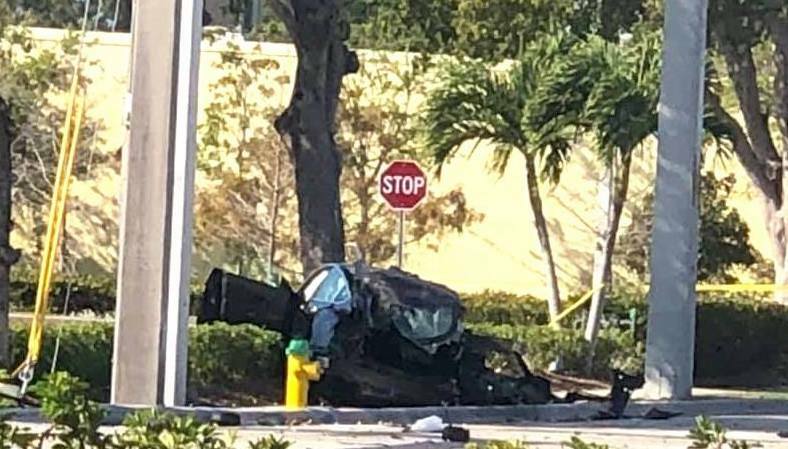 After hitting the three vehicles, Ziperstein’s BMW continued on, striking pedestrian San Miquel Ramiro (52) of Boynton Beach, and then rolled over. Sadly, Ziperstein was pronounced dead at the scene and Ramiro passed away at Delray Medical Center. Mr. Goo suffered critical injuries and was also taken to Delray Medical Center. Sezman and Sheehan suffered minor injuries. It was unclear from the accident report as to why Ziperstein was traveling in the wrong direction and we may never know.